Makeup aside, the quickest way to transform your look is to switch up hairstyles. Curly, flat, bouncy, bombshell, tight, wavy, no matter what you call it, you need the right tools (and a bit of inspiration) to get it done. Which leads me to my next question, how many curling or flat irons do you currently own? Do you really need to buy every model or size there is? You know I hate clutter to the core. And ever since I have renovated my home office/makeup room, I strive to keep my dresser in pristine order. Because of this, my buying habits drastically changed. I prefer multi-functional and high quality products. If I have to pay more, I would but please delight me. I had the opportunity to try a styling tool from a brand that's entirely new to me. Bibasque is a high-end beauty boutique company specializing in professional hair tools. They have flat and curling irons in every size and style that suit a woman's discriminating taste. 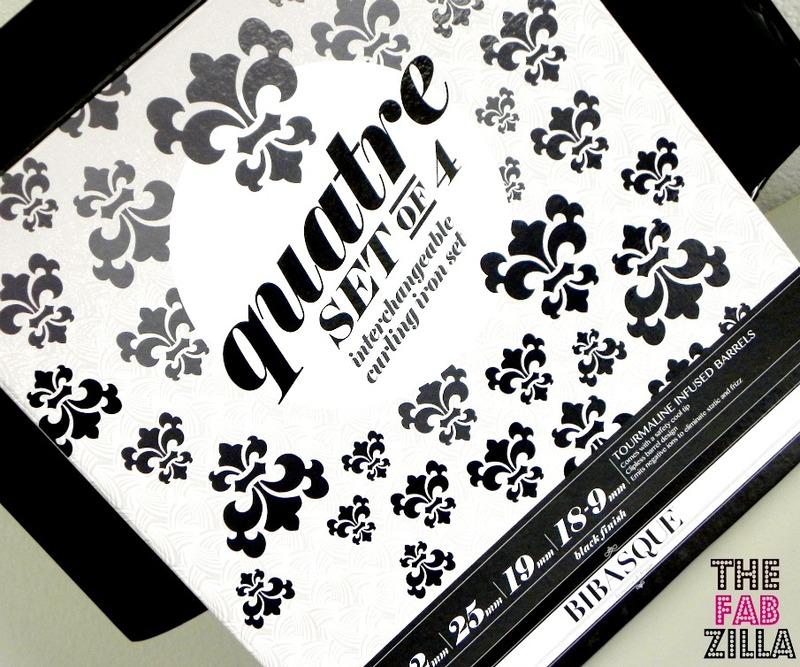 I was particularly excited to get my hands on Quatre ($199.50), a set of four interchangeable curling iron set. I know, a box is a box, but how can you not say anything about it? it's sassy and chic, what with the black and white print. Don't you think it's an eye candy? So what exactly is Bibasque Quatre? 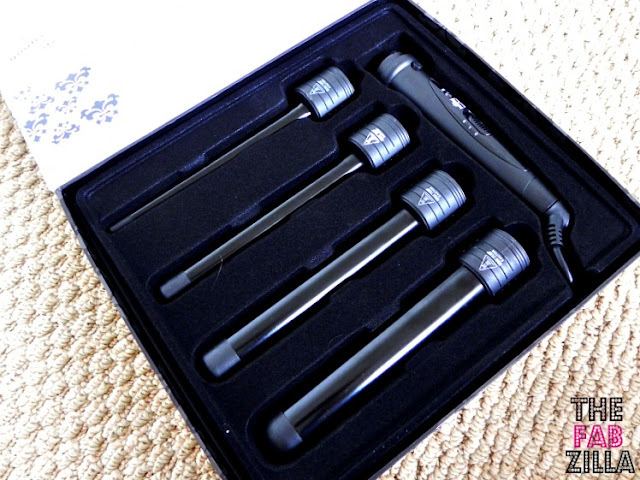 According to the website "The Bibasque Quatre is an innovative and interchangeable curling iron set that provides you with four different sizes for four different styles. 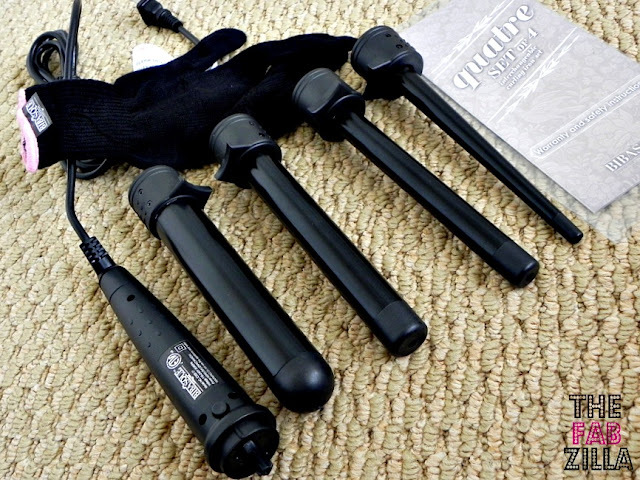 Each barrel is tourmaline-infused, allowing you to create long lasting curls with a beautiful and healthy shine ". 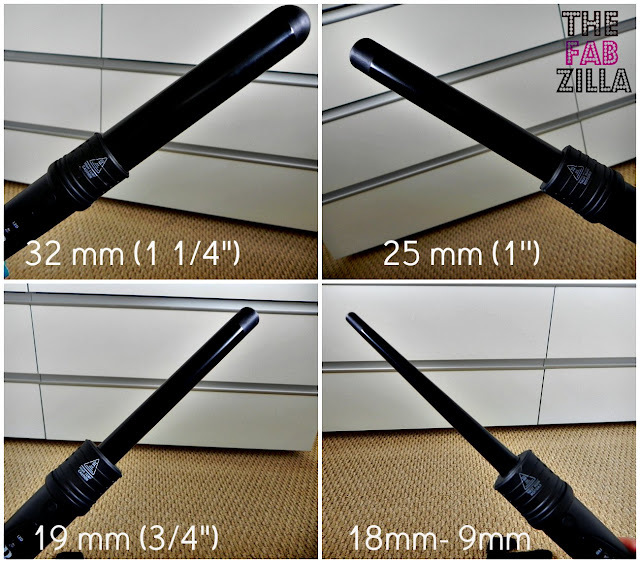 Includes 4 interchangeable barrels: 18mm-9mm, 19mm (¾"), 25mm (1"), 32mm (1¼ "). Even distribution of heat to the barrel by using quality heating elements. No cold or hot spots. Emits negative ions which eliminate the frizz and static. Far Infrared Heat Rays (FIR) keep the moisture, shine and color in your hair, yielding superior, healthy results. Smooth surface ensuring smooth styling without creating tension or pulling the hair. 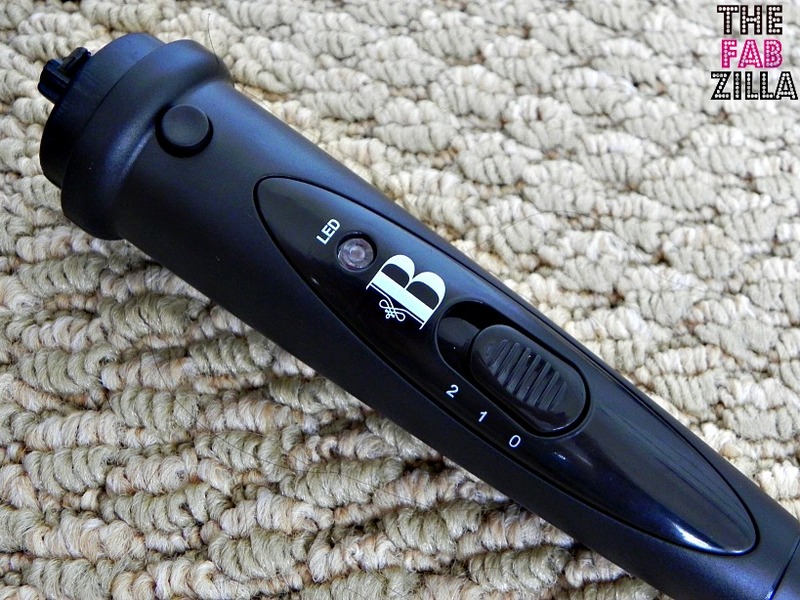 Comes with a cool tip for a safer and quicker styling. Max temperature of 392 °F (200 °C) . Easy to use. Ergonomic non-slip grip. Tangle-free 360° swivel power cord. 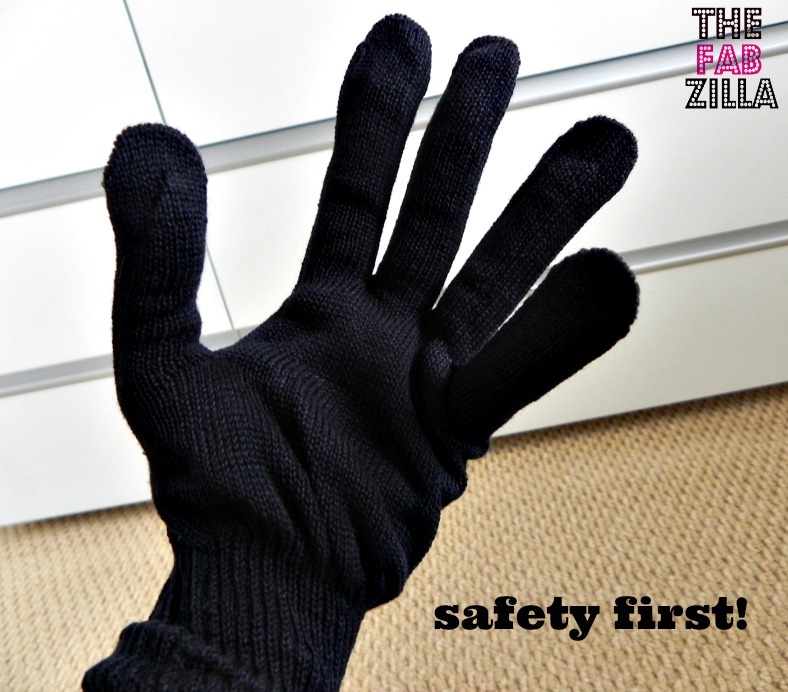 Minnie Mouse says safety first bellas, wear the glove!!! The itsy-bitsy skinny. This is a rather easy tool to use, no instruction booklet required. Although I must say that connecting/ disconnecting the barrel required a bit of familiarization (you must hear it click otherwise it's not fully connected). It heats up in two minutes, my guesstimate. It would be nice if it has an alarm so you know that it's ready to use. I like that it has a built-in mini stand so it doesn't touch any surface, I hate accidents! I had no static issues at all and I like that my borderline frizzy hair appeared shiny and soft each time I use it. Set with hair spray, mah curls last throughout the day. 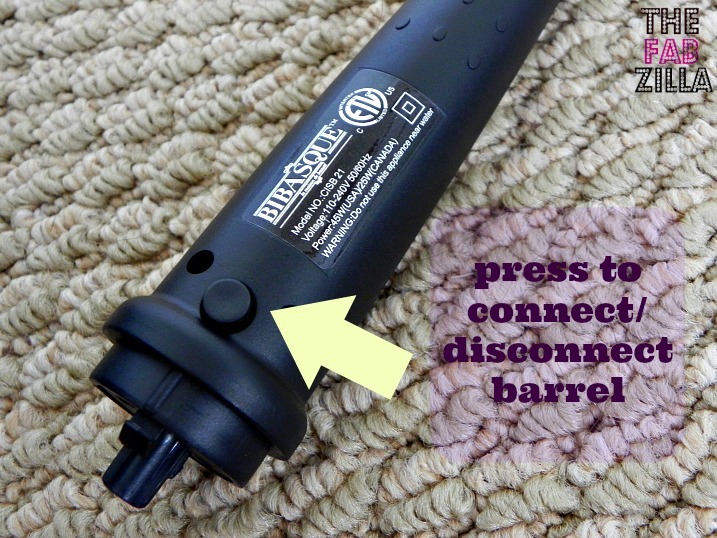 The interchangeable barrel feature is a space saver; it also comes in handy when my fickle mind attacks- large curls, beach waves, flapper hair? Ugh, big bun! 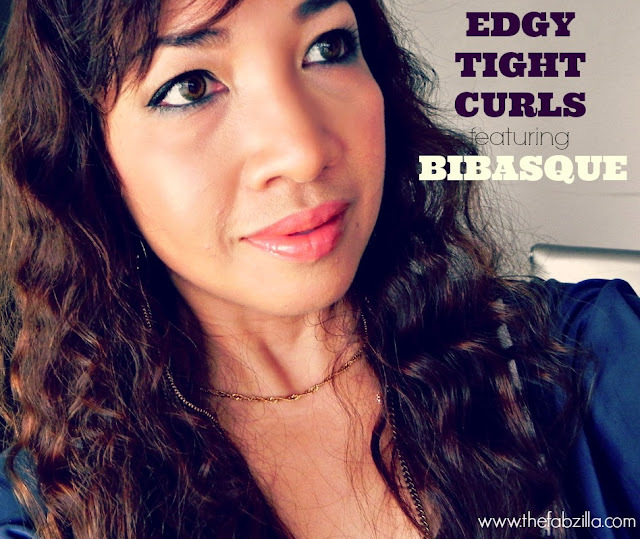 For this Edgy Tight Curls Tutorial, I used the smallest barrel , the 18mm-9mm. 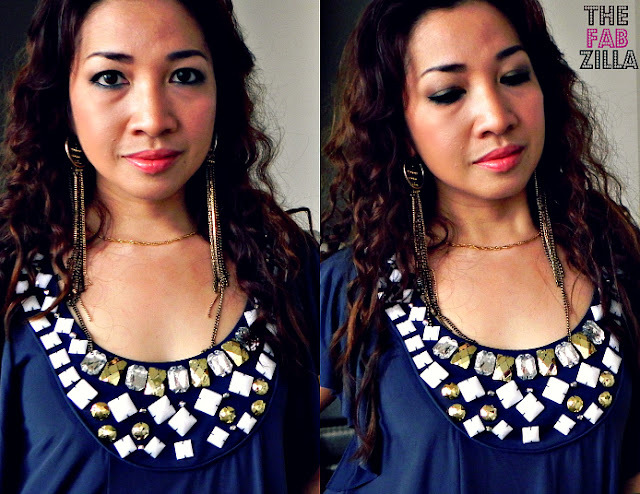 My inspiration for this diva-ish hairstyle is no other than Beyonce! It's easy but not-so-quick (well in my case since I have long hair!). It took me 30 minutes for the entire twistin' and curlin'. 3. Section and clip hair as you please. 5. Grab a piece; the thinner, the tighter the curls. 6. Twist the piece, it's the main technique. 6. Wrap the twisted piece around the barrel, away from your face (for safety reasons of course) for about 10 seconds. 7. Release twisted piece and let it cool. 8. Loosen up curls slightly by running your fingers through the hair. 9. Finish with hair spray. Now bling it with accessories baby! 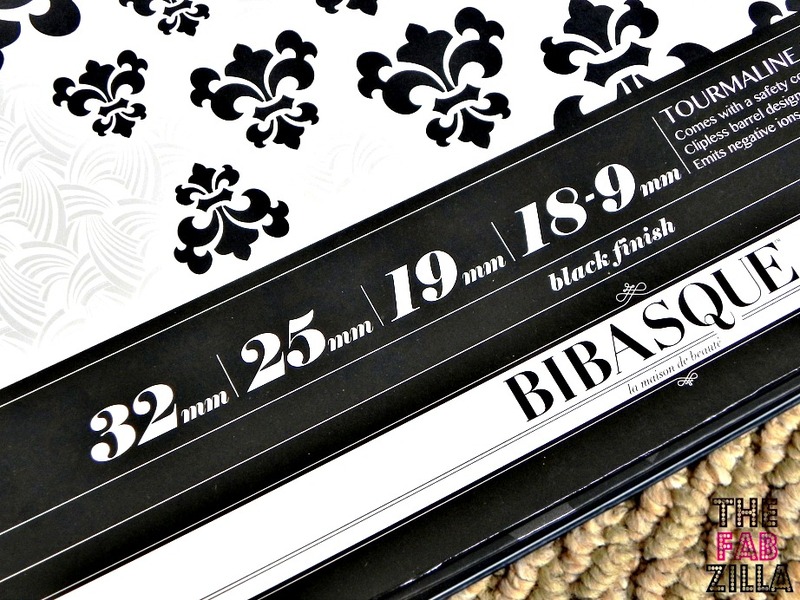 Where to buy Bibasque? company website, select professional salons and beauty supplies stores.